NORFOLK, Va. (Jan. 30, 2017) — Mary Helen Hilton has been promoted to director of development for St. Mary’s Home, which cares for children and adults who have severe disabilities. Hilton has worked at the nonprofit for more than 10 years, first as marketing communications manager for one and a half years and then as director of annual giving. She worked side by side with Martha Price Stewart, who retired as director of development on Dec. 31. 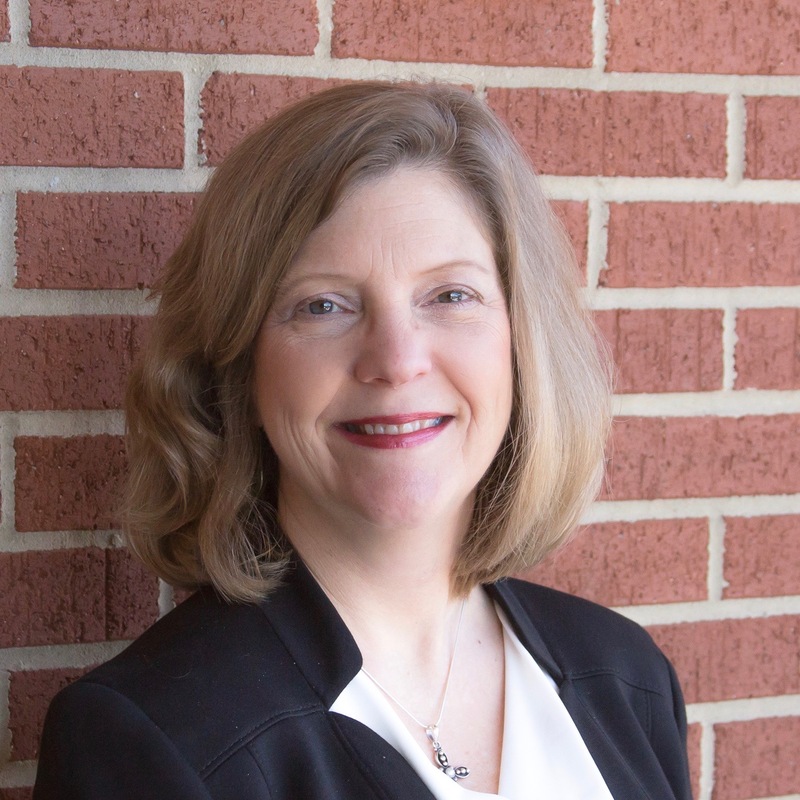 “Mary Helen’s work with annual donors, as well as her close working relationship with St. Mary’s Auxiliary Board will serve her — and the Home — well in her new position,” CEO Wayne Jones said in announcing Hilton’s promotion. Hilton served on the board of the Hampton Roads chapter of the Association of Fundraising Professionals for five years, including two as secretary. She currently serves as secretary for the AFP Virginia Caucus, the statewide organization of Virginia AFP chapters. Before coming to St. Mary’s, Hilton worked at The Mariners’ Museum in Newport News for more than seven years as the marketing communications manager. She graduated from Meredith College in Raleigh, N.C., with a bachelor’s degree in business administration. How Many Mermaids Can You Count in This Photo? 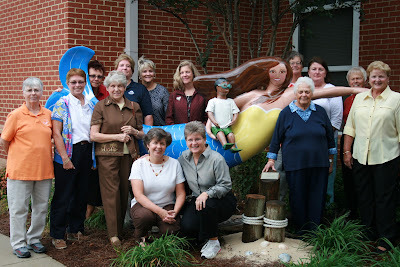 Embrace, St. Mary’s mermaid statue, is surrounded by 13 members of the Ocean View Women’s Golf Association, who call themselves the “Ocean View Mermaids.” Also in the photo is Mary Helen Hilton, St. Mary’s director of annual giving (seventh person from the left, standing). For three years in a row, the Ocean View Women’s Golf Association has supported the nonprofit St. Mary’s Home with a golf tournament. Members visited the Home today to donate $2,500 from the proceeds of this year’s tournament. 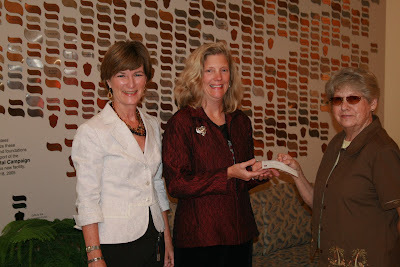 Martha Price Stewart, St. Mary’s director of development, (left) and Mary Helen Hilton, director of annual giving, (center), stand in front of the donor tree in St. Mary’s lobby as they accept a donation to the Home presented by Sally Corliss, chair of the Ocean View Women’s Golf Association’s tournament. “It’s because of donations like this that we can go the extra mile” for the children, Stewart told the group. 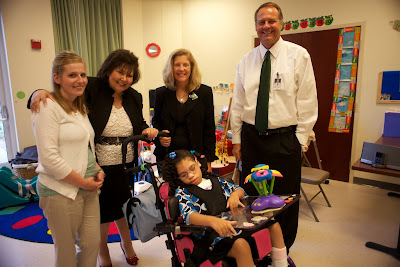 St. Mary’s Home recently welcomed Carol McCormack, the new CEO and president of United Way of South Hampton Roads. We are pleased to be one of the 70 worthy partner agencies supported by UWSHR. Get ready for campaign season, and LIVE UNITED. First accepted into the Norfolk Community Chest in 1955, St. Mary’s Home has valued our relationship with United Way for many years. 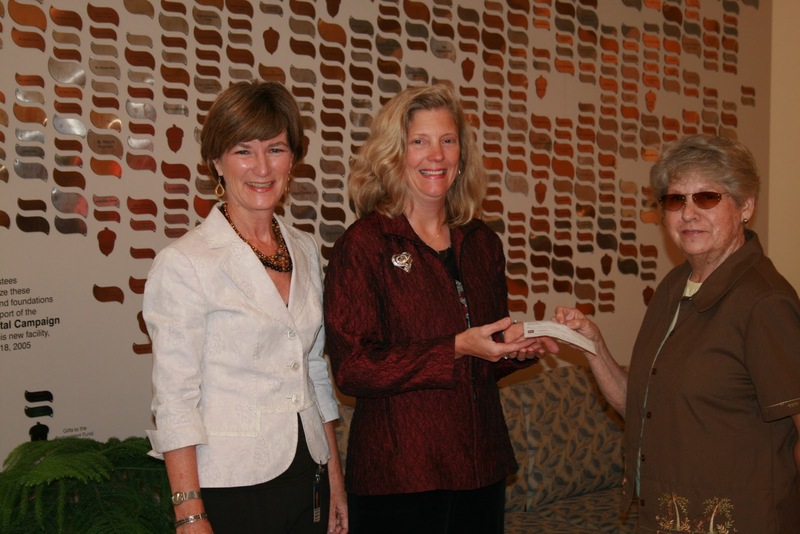 The Norfolk Community Chest became the United Way of South Hampton Roads in 1984, and for more than 50 years we have relied on generous support from this nonprofit organization. As summer ends, we welcome the opportunity to join United Way colleagues in presentations and tours to share with others the difference their contributions make in the lives of our children and young adults at St. Mary’s.We look forward to the annual Day of Caring each September and appreciate the number of incredible projects volunteers accomplish on this day throughout Hampton Roads. Scenes from the 2009 auction: At left, Trustee Kim Thumel (center) with Doug Henkel and his wife, Toni Henkel, who created purses for bid at the auction. At right, Auxiliary President Karen Hibbard holds a painting up for bid. Karen Hibbard, president of St. Mary’s Auxiliary Board, and Mary Helen Hilton, St. Mary’s director of annual giving, recently taped a great interview for “Norfolk Perspectives,” the city of Norfolk’s community affairs program. They discussed the Auxiliary’s auction and gal coming up on Feb. 20 at The Westin-Town Center to benefit the children and young adults of St. Mary’s Home. The episode will run at 8 a.m. and 8 p.m. daily on Norfolk cable channel 48 from Jan. 31-Feb. 6. But you can watch it online now here. For more information about the auction, see our website or call 757.622.2208 ext. 381. Allied Command Chief of Staff Royal Navy Vice Adm. Robert Cooling, Wayne Buck and Dan Berry present a donation check to William C. Giermak and Mary Helen Hilton from St. Mary’s Home for Disabled Children. (From left – Buck, Giermak, Hilton, Cooling, Berry). Photo by U.S. Air Force Master Sergeant Chris Steffen. CEO William C. Giermak and Director of Annual Giving Mary Helen Hilton recently attended the Supreme Allied Commander Transformation’s officers’ staff mess on Norfolk Naval Base. Chief of Staff Royal Navy Vice Adm. Robert Cooling presented St. Mary’s Home with $1,000 on behalf of officers from NATO. You can read more about this generous contribution, as well as donations the officers made to other charities, here. Soozi McLain is head of the Physical Therapy Department at St. Mary’s Home for Disabled Children. She’s also a physical fitness fanatic; working out relieves stress and gives her the strength and endurance she needs to lift children and young adults every day as part of her job. The May 4 issue of Inside Business magazine features a profile of Soozi in its “Inside Fitness” feature. You can read the article here. This month, Soozi will ride in her 11th MS 150-mile bike ride to raise funds and awareness for multiple sclerosis. You can support Soozi here. Mary Helen Hilton, SMHDC’s director of annual giving, is part of the same team. You can support Mary Helen here.